Should the occasion arise to create a credit note. 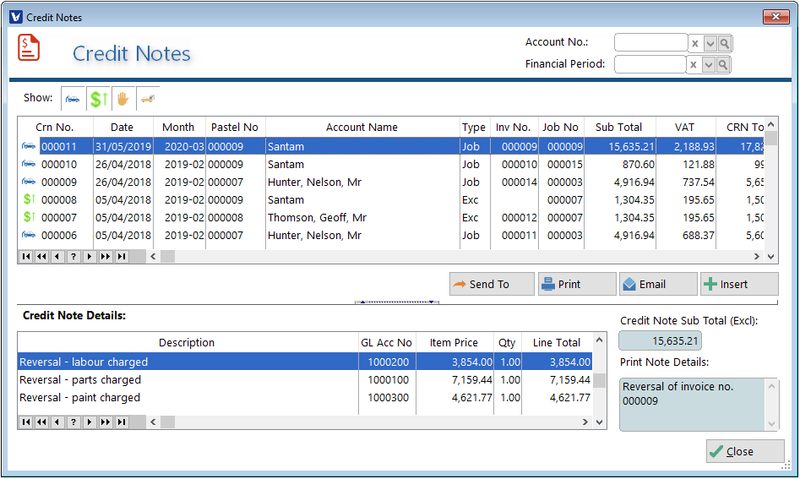 This can be done by accessing the Credit Notes icon in the Accounting Tab. There are two kinds of Credit Notes you might want to create, a Miscellaneous credit note or a Credit note related to a specific Job Invoice or Excess Invoice. How to do both will be explained below. The Credit Note will be created after the Reversal. Select the appropriate account number using the lookup ( ) button. Indicate the Reason for the Credit Note you wish to create. -Assign a GL Code to the entry. 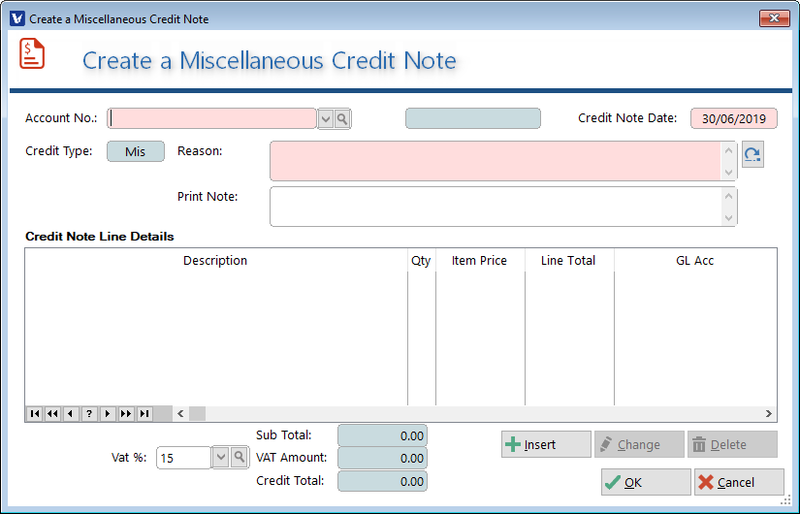 Once all lines have been added, click OK to save and create the credit note.